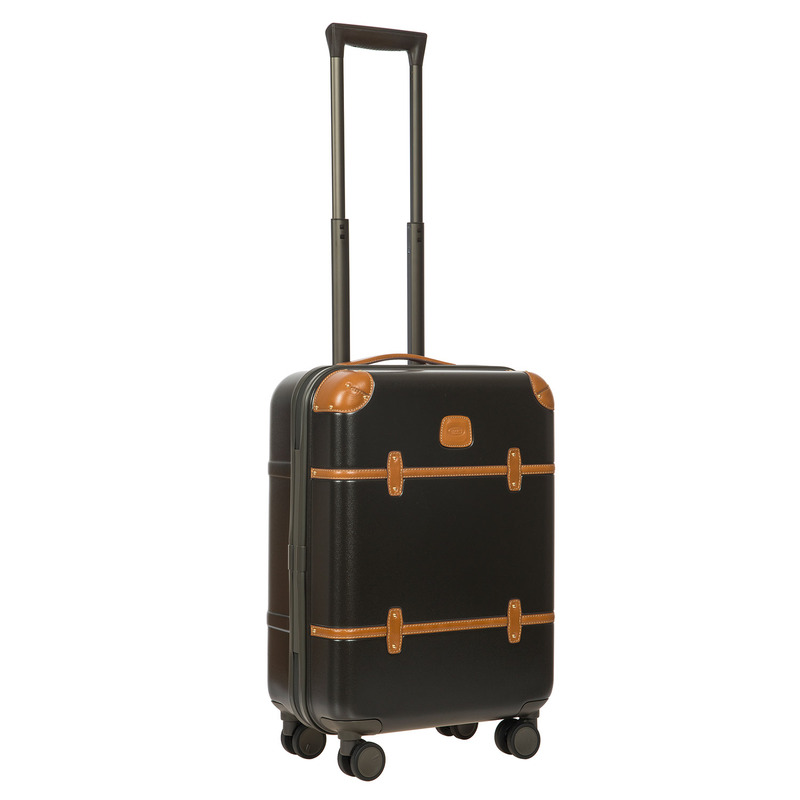 21" carry-on trolley from Bric's BELLAGIO collection. 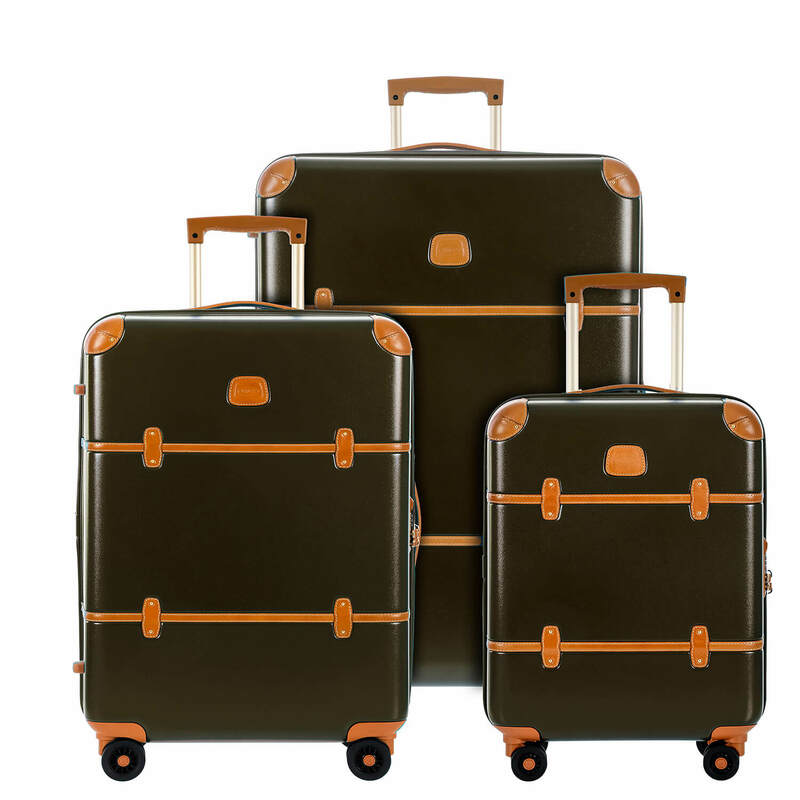 The elegance of the Tuscan leather inserts is paired with the high-tech shell made from Makrolon® polycarbonate, the innovative material that guarantees maximum resistance to shocks and scratches, as well as being extremely lightweight. A sophisticated and functional carry-on trolley is the perfect companion for every trip. EXTERIOR: made in Makrolon® polycarbonate, lightweight, flexible and ultra-durable. 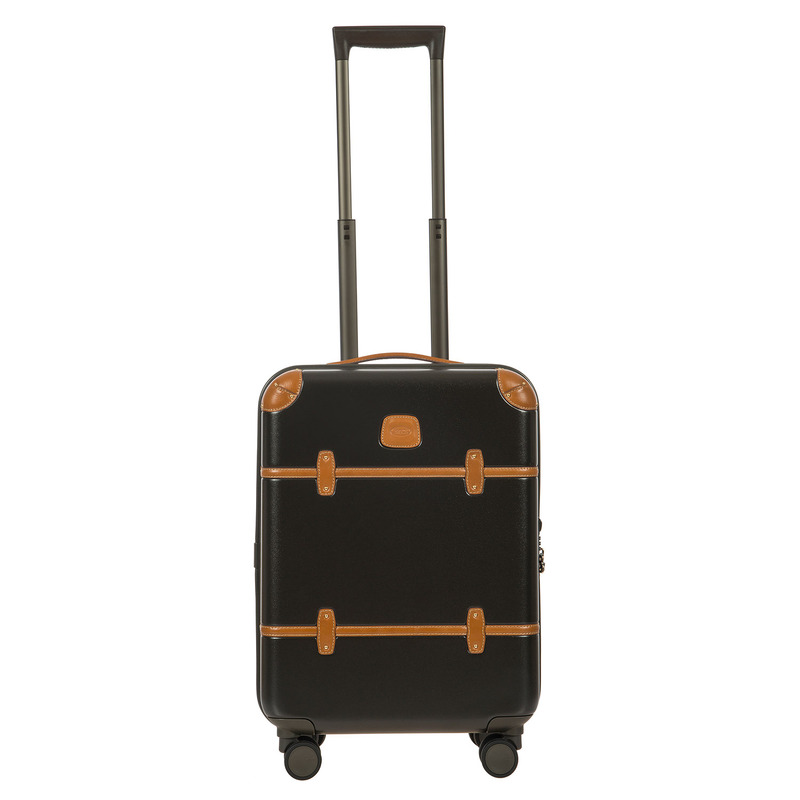 HANDLE: comfortable and functional telescopic handle with multiple stages selected via a press-stud button. Now even more ergonomic and easier to handle. INTERIOR: lined interior divided into two compartments. 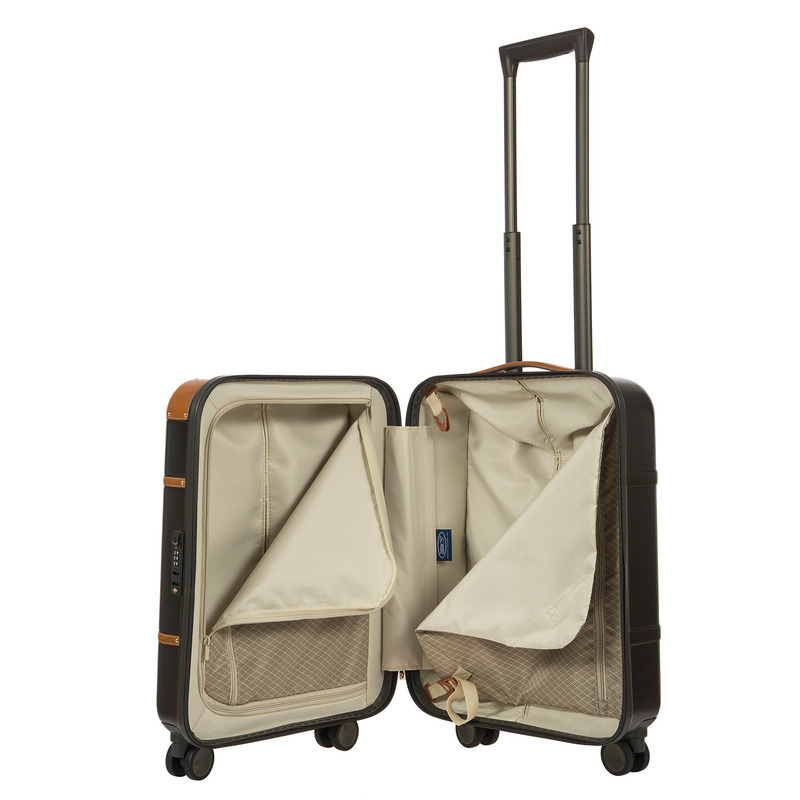 One closes with a zip and comes with a mesh pocket, the second has a large compartment with a zip and garment bag hook that can hold up to three hangers. 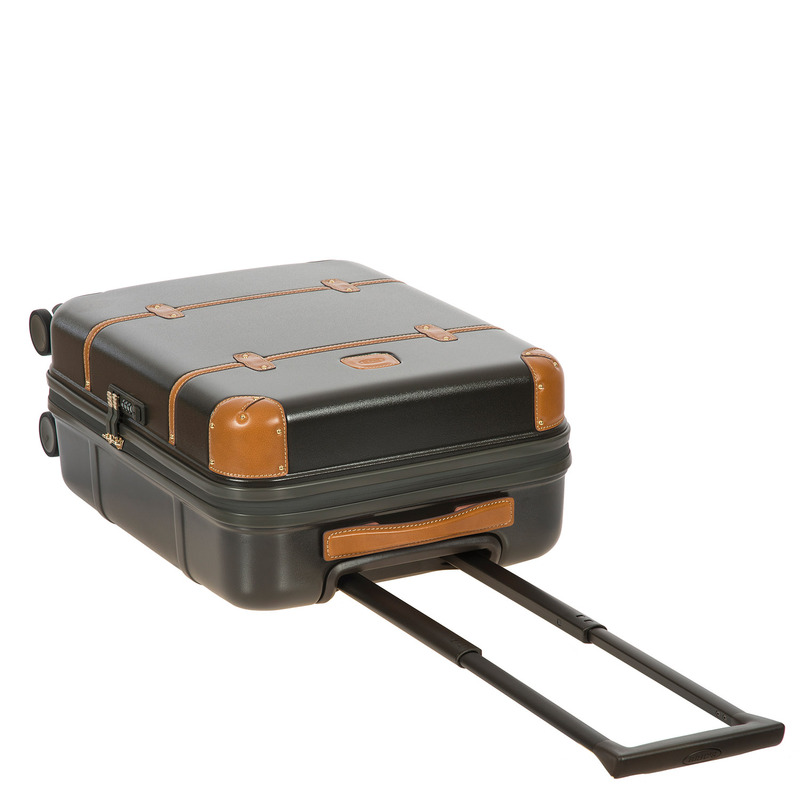 LOCK: features an integrated TSA lock, which is required when travelling in the USA; it allows American airport security to inspect the luggage without damaging the bag using a universal key used by the TSA security only. WHEELS: four double ball bearing Hinomoto swivelling wheels feature a new design and wider radius allowing an easy 360° rotation in all directions. The wheels have been designed to be replaced externally with a simple screwdriver. DETAILS: vegetable tanned Tuscan leather finishes with contrasting stitching and golden studs; includes a leather address tag; the zips feature a rubber finish that makes them completely water repellent. 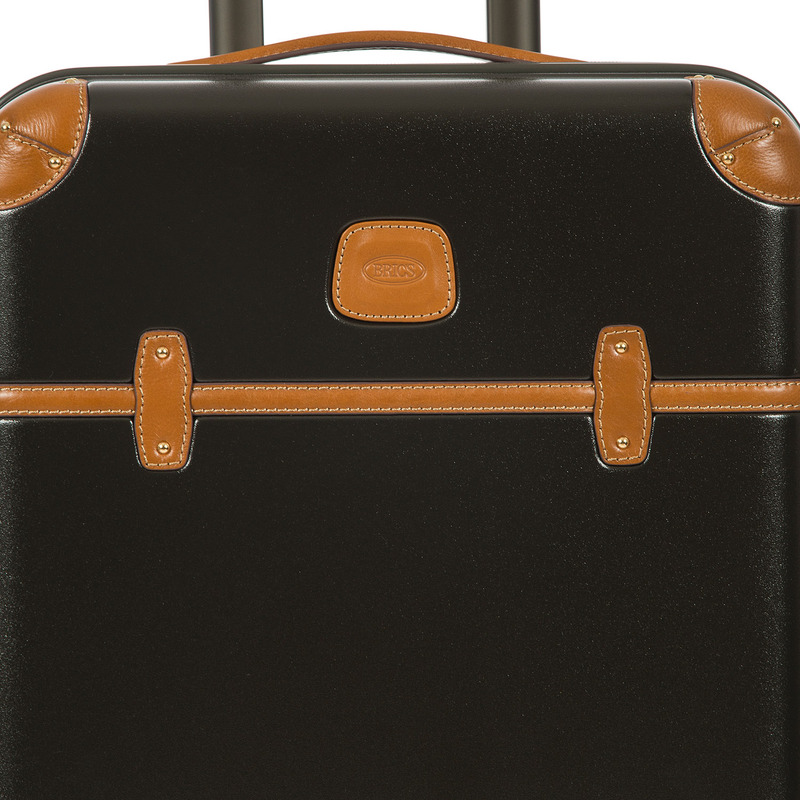 Bellagio 2.0 is a must have bag for luxury travel that keeps our tradition to details such as the full grain leather logo, front straps and corners as well as the matching color lining with the exterior of the bag. 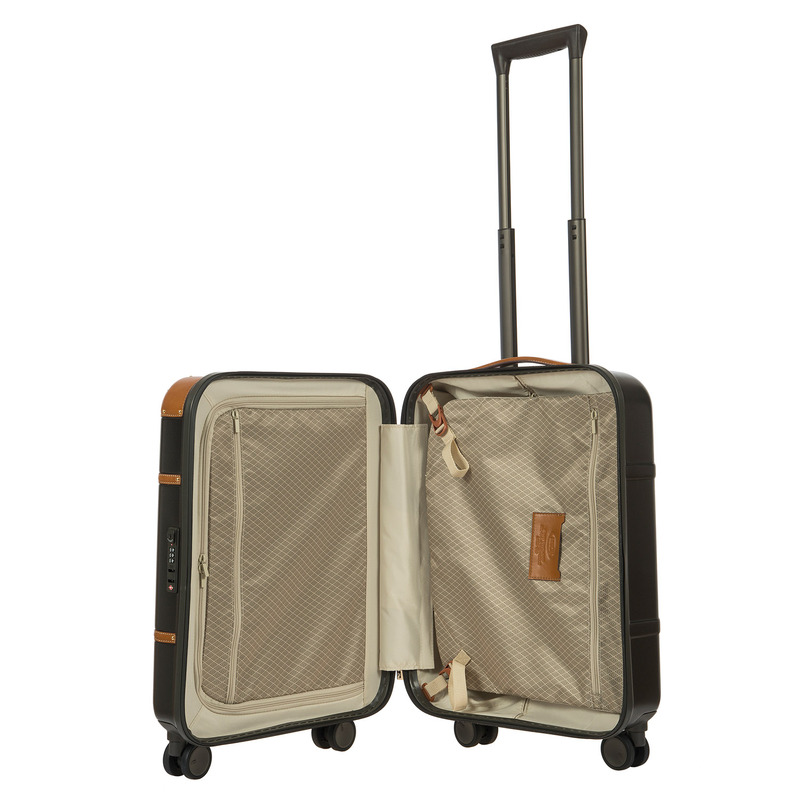 It features a multi stage retractable handle for better handling, stability and comfort. 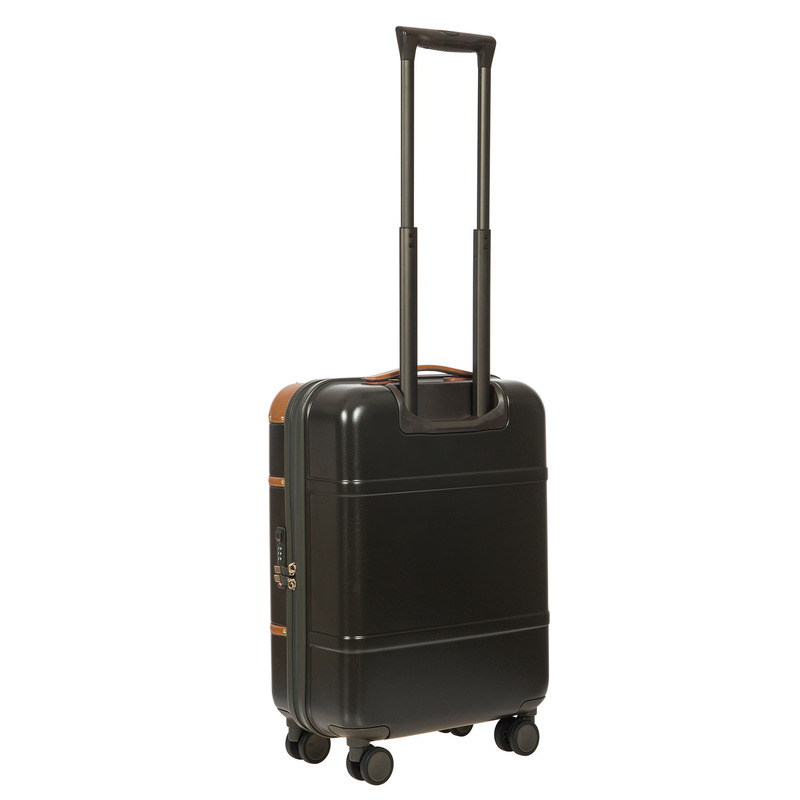 Ergonomically redesigned the enlarged wheels roll effortlessly and silently 360°. 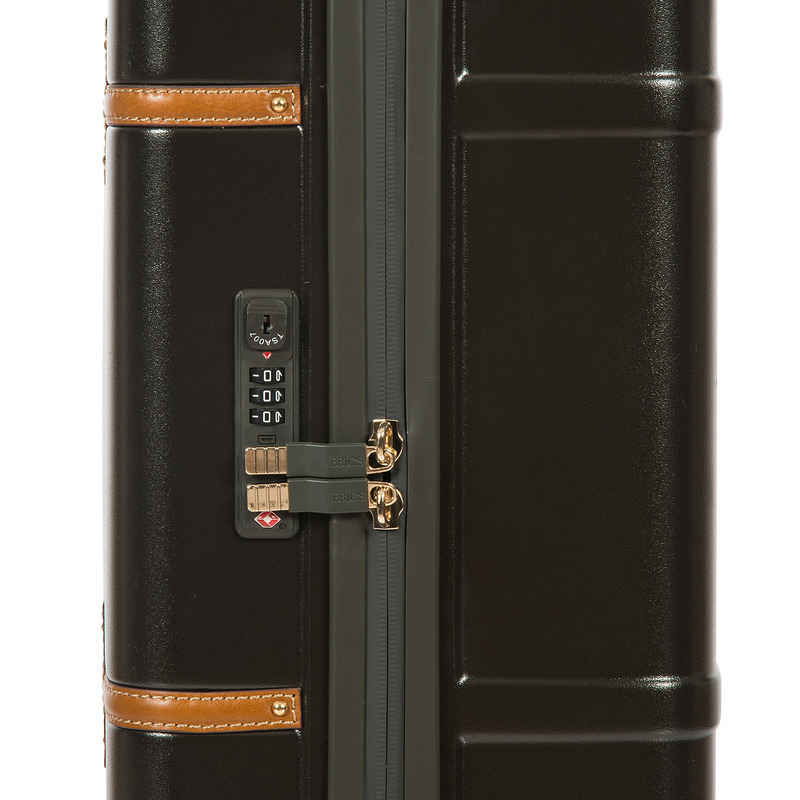 Includes a built-in TSA approved locks, YKK water-repellent zipper, internal organization, and resiliant Polycarbonate Frame.